Morocco is an experience for the senses. It’s colourful, it’s energetic, it’s aromatic and it’s amazing! Shoppers will fall in love with the souks of Marrakesh, hikers will be amazed at the grandeur of the Atlas Mountains. Whilst art lovers will be in awe of the amazing architecture and even ski-buffs can say that they have slalomed the slopes of Africa. Sit back and relax. Here are 8 awe-inspiring places to visit in Morocco. To experience a truly incredible city with a life all its own, head to magical Marrakesh. 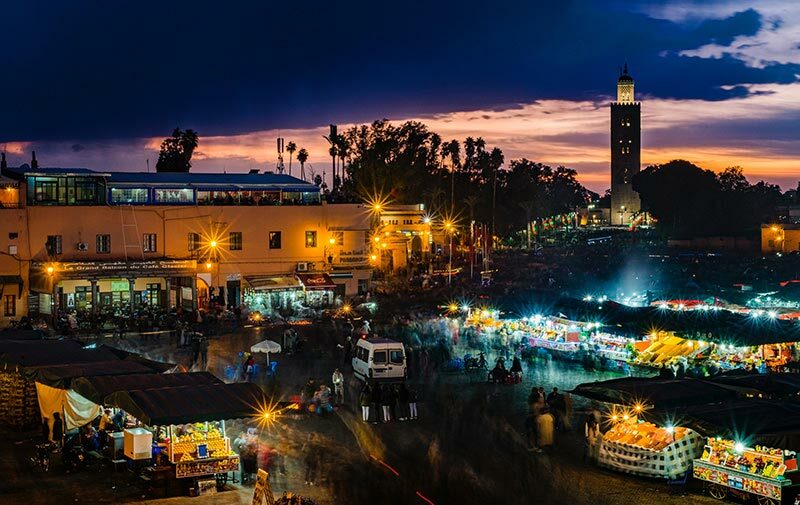 Most African trekkers are drawn to this colourful city by the seemingly unending souks, gardens and spices found in the Medina. But don’t just get sucked into shopping in the souks! There is so much more to see in this vibrant city besides rugs, brass and lanterns. The city is home to awe-inspiring hotels, palaces and mosques that show off one of the most striking features of the Moroccan architecture. Such as “zellij,” which are mosaics designed using hand-cut tiles. Check out the lobby at the Royal Mirage Deluxe Marrakech and you will see a truly breathtaking example of zellij while you sit in style sipping mint tea. These stunning peaks stretch from Morocco through Algeria to Tunisia. The best way to take in the breathtaking vistas is a road trip on Morocco’s well-kept highways. Heading up the mountains, you will have manoeuvre the switchbacks on Tizi n’tichka Pass before you get to a must-see stop along your route – Aït Benhaddou, which is a mystical UNESCO World Heritage site. 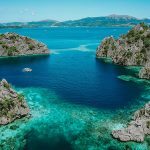 You may recognize the town because it was used as the backdrop for the tons of movies such as Gladiator and the TV show Game of Thrones. You will be greeted by very friendly locals as you pass through Berber villages or many road-side stops for Morocco’s famous mint tea. The mountain roads are tricky so make sure you use a reliable travel agency. The breathtaking coastal highways that run along the Moroccan coast have to be among the most scenic drives in all of Africa. 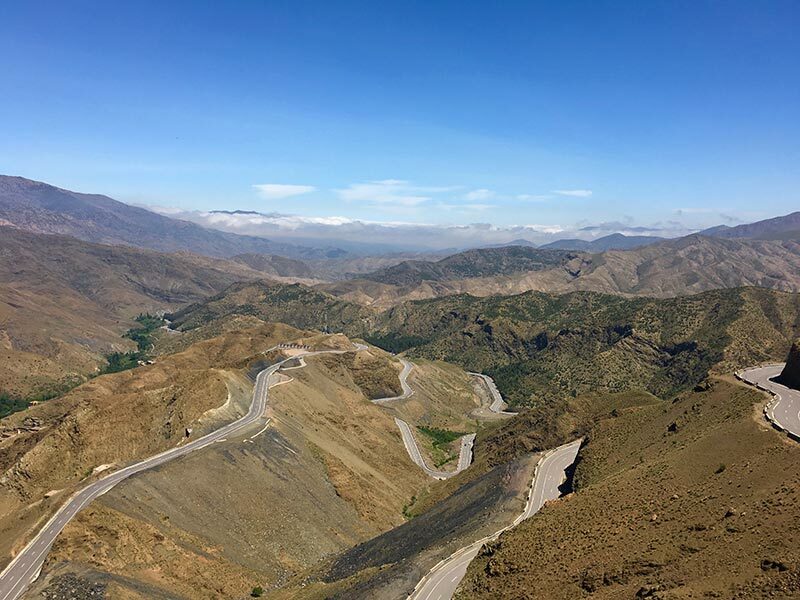 The picturesque drive on the A1 and N1 will take you from the exciting city of Tangier, along the North Atlantic coast through the bustling cities of Rabat and Casablanca. 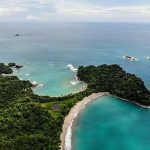 Along the way, don’t forget to stop at the ancient castles that dot the shores and the charming fishing villages where local seaside restaurants serve some of the best seafood on the continent. 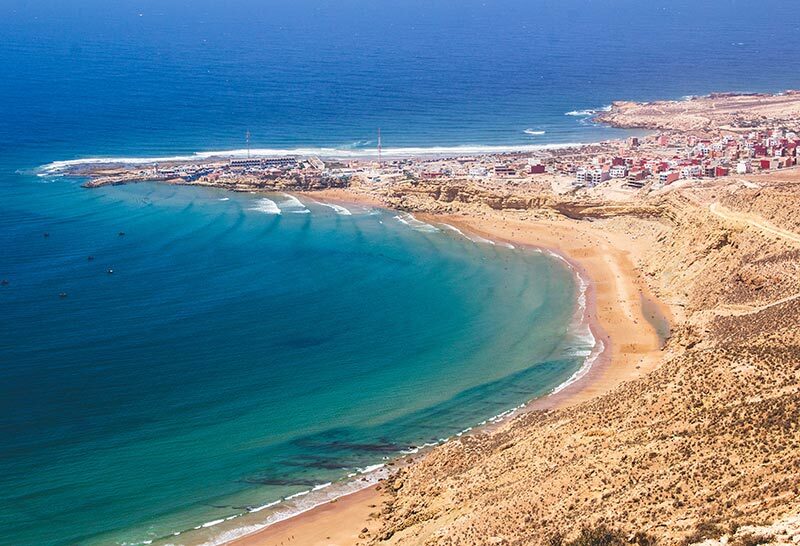 A great place to end your trip is the trendy city of Agadir, where you will find all the luxury you need to relax in style. A stay at the Hotel Sofitel Agadir Royal Bay Resort will be unforgettable where you will be pampered at this seaside oasis. We have all either seen or heard about the classic Humphrey Bogart movie Casablanca. The mystic and grandeur of this iconic city are still alive today. Fans can relive that feeling by visiting Rick’s Café, a replica of the famous nightclub that harkens back to 1940’s wartime Morocco. 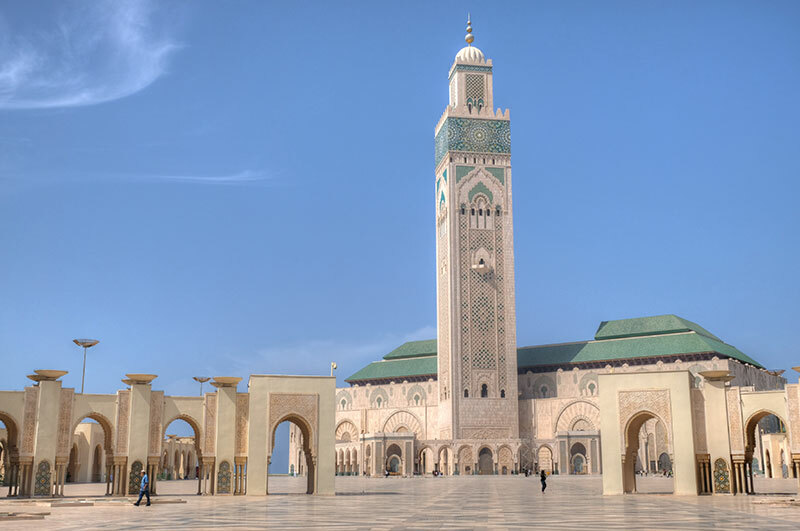 Also, visit the Grande Mosquée Hassan II which will leave you in awe. It is the largest mosque in Africa and its soaring minarets dominate the city skyline. Enjoy a walk along Casablanca’s Corniche and take in the elegant buildings. These are a blend of both modern and Moorish styles. The best example of classic Moorish architecture is the amazing woodwork, beautiful columns, as well as the ornate details of the Mahakama du Pacha, the city’s parliamentary building. Often seen as the gateway between Europe and Africa, Tangier is a truly European city steeped in the bohemian 20th-century literary history. It now draws visitors here to get a feel for a bygone era. 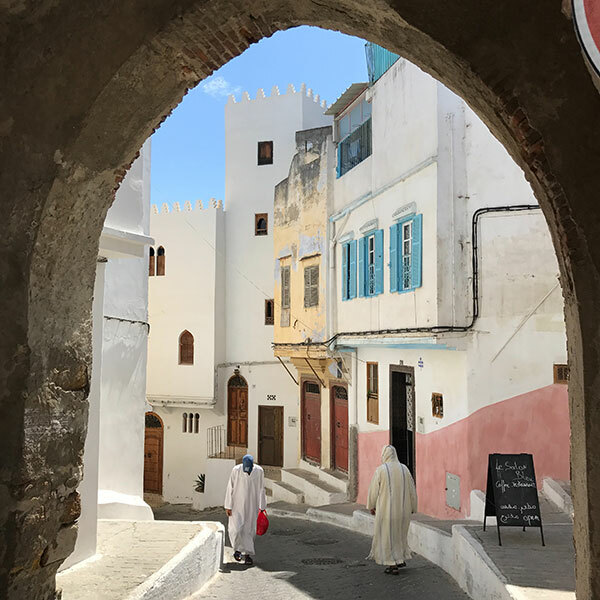 Explore the medina, tour the Kasbah and bargain for carpets and local handicrafts in the small souks that line the winding back alleys of the city. Feast on fresh seafood and couscous at a quaint Moroccan café and explore the culture by participating in the traditional tea ritual at a local tea shop. Relax and sip steaming mint tea while being entertained by local Berber performers. Don’t miss the chance for a camel ride to the sand dunes at the mythical Cave of Hercules. Morocco’s formal capital city is now considered the cultural capital. Its walled medina seems likes it has been lost in time. Fes has a mix of opulent palaces, mosques, winding alleys of souks and amazing Spanish, Tunisian and French architecture. 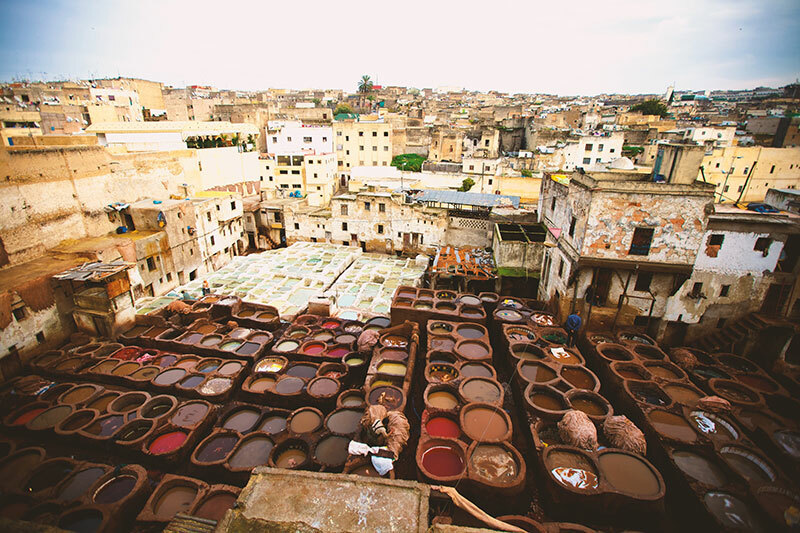 A visit to the Chaouwara Tanneries will give you a glimpse at the age-old art of tanning. Watch the workers dye skins and hides in little stone pools from the terrace of one of the many leather shops. 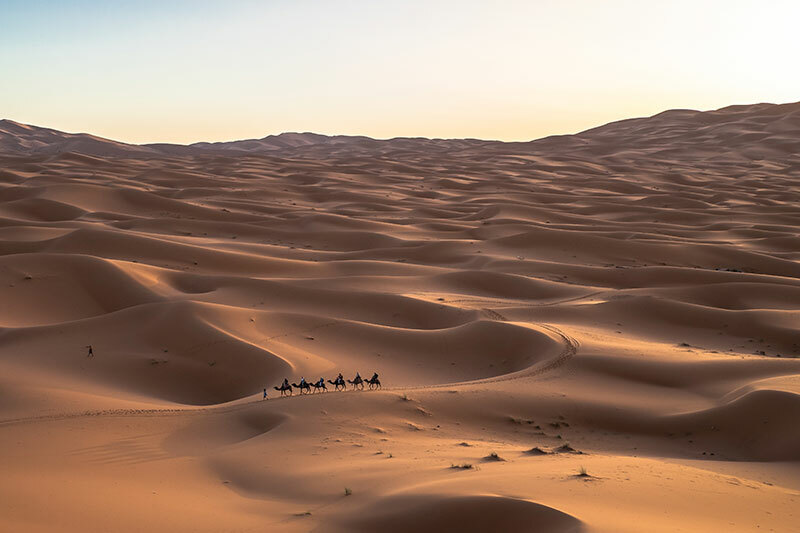 If you are up for a desert adventure and a camel trek, then head to Morocco’s eastern Sahara region and the colossal sand dunes of Erg Chebbi. Here you can climb the giant 500-foot tall dunes for sand-surfing, or the thrill of speeding around the Sahara in a 4×4. Join a camel caravan for a visit to the camp of Berber nomads and then indulge yourself amid the dunes at the Erg Chebbi Luxury Desert Camp. 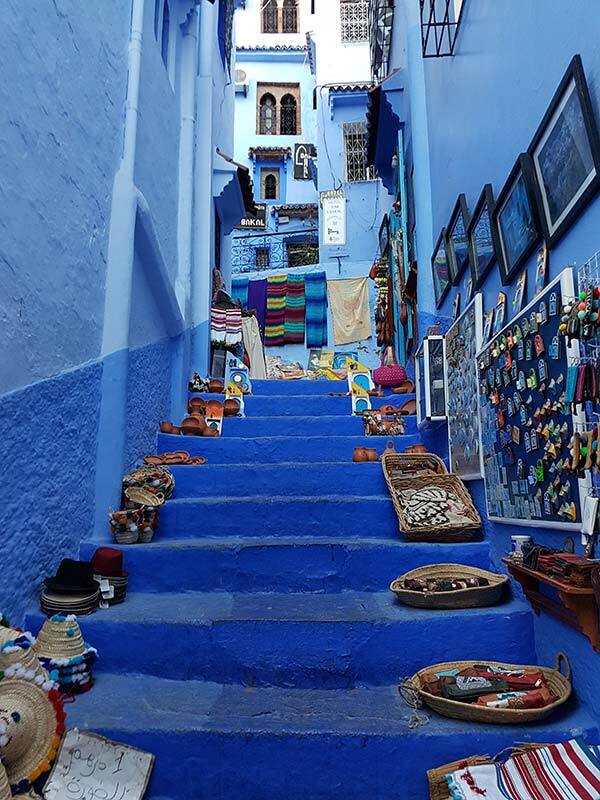 Chefchaouen also known as the Blue Pearl is located towards the north of Morocco. 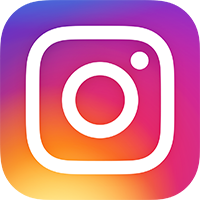 It is slowly becoming a popular Instagram destination due to its picturesque blue facades. Whilst in Chefchaoeun allow yourself to get lost among the streets, enjoying the unique architecture and colours. Also be sure to make the most of the shopping opportunities where you’ll find a range of items such as native handicrafts, souvenirs, garments and other items available. For those wanting to learn some of the history of the city and local area then visit the Kasbah museum.